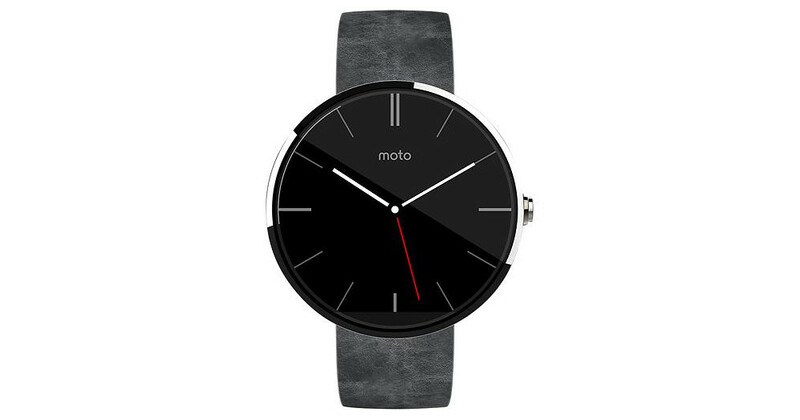 We are expecting to get official Moto 360 launch details when Motorola hosts press at a September 4 event in Chicago, but Best Buy may have gone ahead and let us in on all sorts of details early. 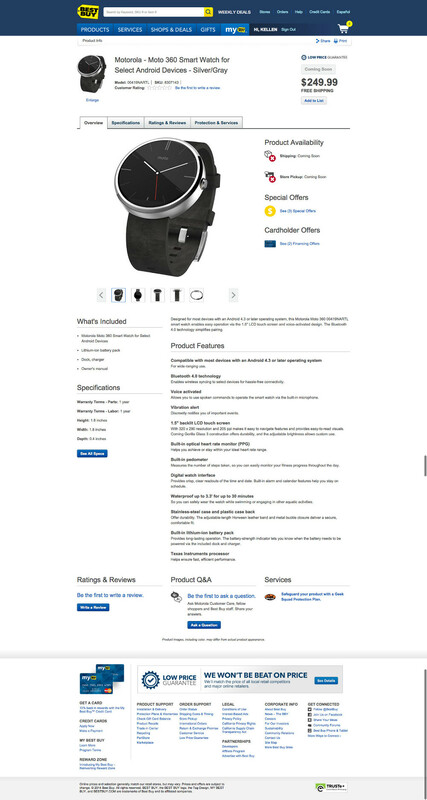 According to a listing on Best Buy’s site for the Moto 360, we could end up paying $249. The device is also listed as having a 1.5-inch backlit LCD touch screen, with a 320×290 resolution, 205ppi, and Corning’s Gorilla Glass 3. Matching up to what we learned from a leak a week ago, we are also seeing mentions of a heart rate monitor, water resistance (up to 3.3 feet for up to 30 minutes), and an ambient light sensor. On a specs tab, the listing suggests that there is 512MB of RAM, Wireless N connectivity, and a Texas Instruments processor inside. The size of the watch is 1.8×1.8×0.4-inches and it weighs 2.1oz. The device itself is a combination of stainless steel and plastic, just like we thought. The listing only mentions that the device is “coming soon.” It falls under SKU 8307143 and model number 00419NARTL. How does $250 sound? Be sure to vote in our poll and tell us if you are buying at that price. Update: Best Buy pulled the page, but thankfully, we saved it for you below.